I honestly believe we will see for the first time the Lamborghini Gallardo replacement at the Frankfurt Motor Show in September. This car has been spotted testing several times in the last few months, indicating the public presentation is getting nearer, but the information is still scarce. When we were all waiting to see a replacement for the Gallardo, which is supposed to be called Cabrera, Lamborghini decides to reveal a new, and possibly last version of the Gallardo called LP 570-4 Squadra Corse. 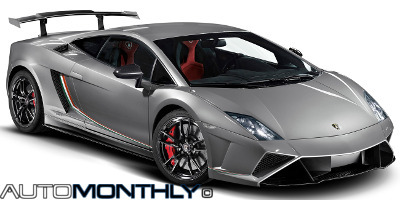 This new car is based on the Gallardo Super Trofeo race car, while the name "Squadra Corse" refers to the division within Lamborghini’s R&D department dedicated to motorsports. The Lamborghini Gallardo was first introduced in 2003, meaning that is on the market for 10 years, so it is time to replace it. 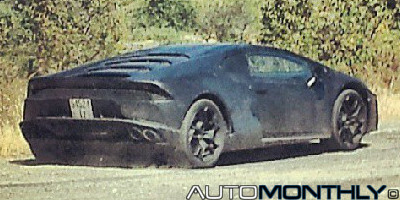 It has been said that this new car will be named Cabrera (in my opinion, it is too similar to Carrera), but we still had not seen any test mules on the road, until today. We all have seen many videos showing supercars, built by companies like Lamborghini and Ferrari, catching fire, but are rare the videos where you see the exact moment they start to burn, and that is exactly what we have in the video you can see below. Amazing the lack of fire extinguishers. 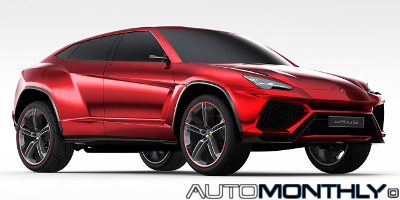 When the Urus was first introduced it was said it wouldn't be produced, because Volkswagen, which is the owner of Lamborghini, already builds the Audi Q7, Porsche Cayenne and Volkswagen Touareg and soon will manufacture the Bentley EXP 9 F and the Audi Q8. After a while, things changed when a few patents appeared on the web, but only now we know for a fact that this model will see the daylight. 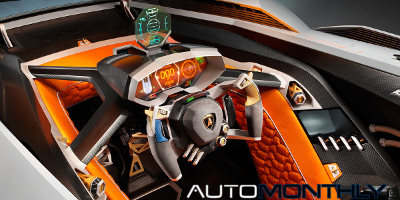 Yesterday, you saw here, firsthand, images of the new concept made by Lamborghini. Today you can see here new official pictures of the Egoista concept, which means "selfish" in Italian (and also in Spanish and Portuguese), and more information of this strange car. This was a surprise. The Lamborghini is celebrating 50 years of the brand and decided today to show a concept that is even more radical than the Poison. The name wasn't confirmed, but everyone is calling it the Ecosta, so we will stick with that for now. One thing we know for sure, it will never be produced (thank God). 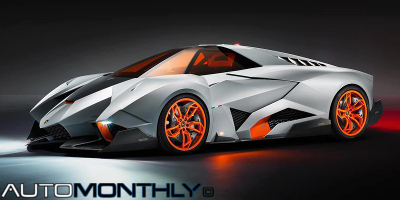 Deviantart user David Williams aka wizzoo7 showed us a few months ago a fantastic design for a possible Ferrari F70 (which later became the Ferrari LaFerrari) and now shows us his vision of what could be the Lamborghini Aventador SV, and can i add it looks amazing, specially the orange version. Unfortunately the Lamborghini Miura is well known for catching fire when idling, and it seems that is exactly what happened to this Miura SV in central London. 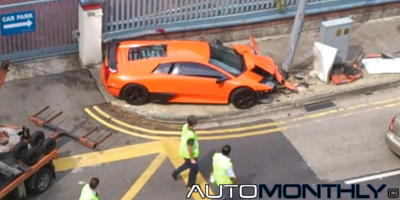 But the worst is that, although these problems are well known, the owner of this supercar apparently did not have a fire extinguisher and therefore could not avoid the almost total destruction of his car. This crazy looking car called Veneno, which means poison in Portuguese and Spanish, is the surprise Lamborghini promised to bring to the Geneva Motor Show. This car is Lamborghini's way to celebrate their 50th anniversary but only three cars will be built and all of them are already sold. 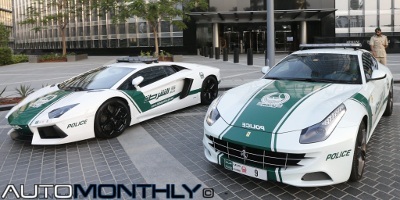 But this Lamborghini only has a top speed of 50km/h and a power output of 120hp and a decent 480Nm of maximum torque at 1600rpm, more than enough to move several tons. 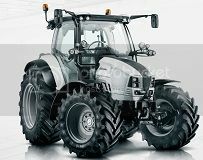 And this is the best Lamborghini tractor you can buy, all the other models have weaker performances. 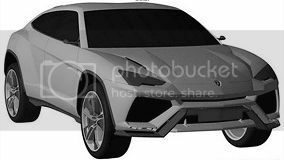 The current President and CEO of Italian sports car manufacturer Automobili Lamborghini S.p.A., Stephan Winkelmann, said some time ago that the brand doesn't need a SUV in their model range but today a few patents drawings appeared in China meaning they Urus might be produced. To celebrate 50 years since the foundation of the Lamborghini brand, the Italian company announced a series of special events. 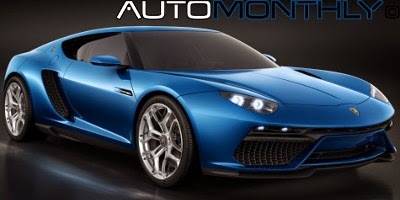 One of them will happen in the Geneva Motor Show with the presentation of a special model. 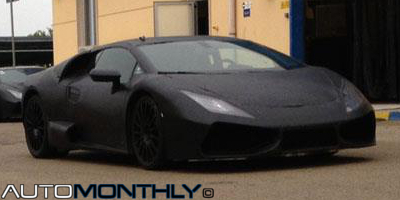 The Lamborghini Sesto Elemento was first introduced in 2010 at the Paris Motor Show and was soon acclaimed as one of the best looking supercars seen so far, still having that familiar and also radical Lamborghini look. As a curiosity the Sesto Elemento's name is a reference to the atomic number of carbon, due to the extensive use of fiber carbon. According to Stephan Winkelmann, the current CEO of the Italian brand, the Volkswagen Group doesn't need a new luxury SUV. VW already has the Audi Q7, Porsche Cayenne and Volkswagen Touareg and for next year we may have the Bentley EXP 9 F and the Audi Q8. 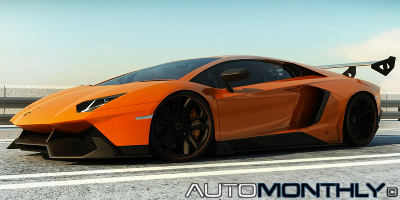 Finally the Roadster version of the Lamborghini Aventador has been revealed by the Italian company together with the full details of the vehicle.